Among the classification of threatened species, the category Critically Endangered corresponds to the greatest risk. 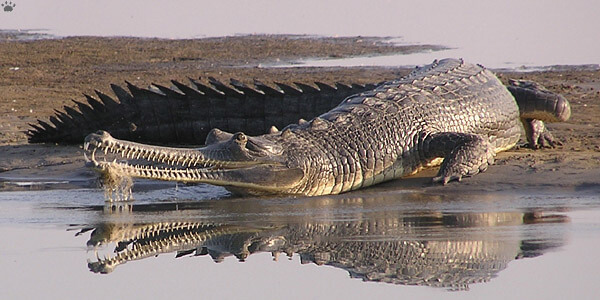 In India, there are 70+ critically endangered animals and 60+ critically endangered plants. 300+ animals fall under the category of endangered while 140+ plants fall under the category of endangered. This post is a detailed list of the critically endangered animal species in India. These include mammals, reptiles, birds, amphibians, fishes, corals and so on. When is a species considered critically endangered? The Critically Endangered list includes 10 mammals, 15 birds, 6 reptiles, 19 species of amphibians, 14 fishes etc. 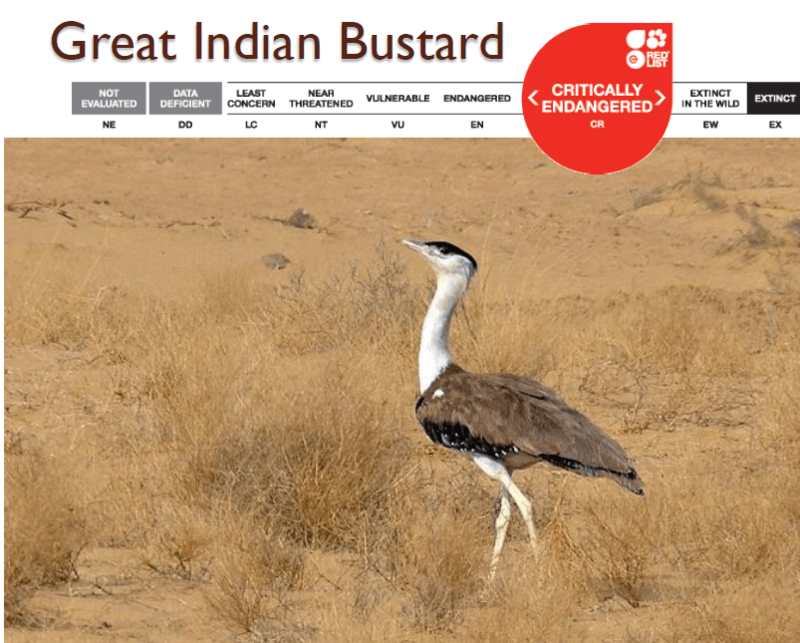 According to International Union for Conservation of Nature (IUCN) red list of birds, the information contained in the IUCN Red list version 2013.2 indicates that 15 species of birds from India are critically endangered. Scavengers – Indian Vulture (Gyps indicus), Red-headed Vulture (Sarcogyps calvus), Slender-billed Vulture (Gyps tenuirostris), White-backed Vulture (Gyps bengalensis). Extra note : In the lower risk categories, the agency included 14 bird species as Endangered and 51 as vulnerable ones. In the latest list, two birds – the River Lapwing and River Tern – that were listed as species of least concern have been registered as near threatened. A third bird, the long-tailed duck, which has been sighted in India on a few occasions, has moved from ‘least concern’ to ‘vulnerable’ on the red list. PLEASE DO SOME THING FOR HINDI MEDIUM STUDENTS. IUCN updates the list each year. The above given information was per the latest Indian government reports available online. Upsc is my cup of tea. Sumatran rhinoceros and javan rhino mentioned in critically endangered species, has become extinct in india long back…..please check your data…. KASHMIRI STAG IS ALSO CRITICALLY ENDANGERED SPECIE.